In the energy sector, commodity suppliers, electricity utilities and other market participants face an hour-to-hour challenge managing a potential minefield of physical and financial risks. There are ongoing volatilities associated with price and supply instability, weather-driven demand, physical transport issues and counterparty credit. Layer on a shifting and cumbersome EU regulatory environment for derivatives trading; and a business landscape marked by mergers and acquisitions, reorganisations, shifting alliances, evolving strategies, and market incursions. It is an exceptionally complex and fast-moving environment. For energy buyers and sellers, the combination of variables moves too fast to manage by spreadsheet. Enter Allegro Development Corporation ( www.allegrodev.com ). Founded in 1984 as the first technology company to offer integrated oil & gas marketing and risk management solutions with trading capabilities, Allegro has become the only provider of commodity intelligence designed to optimise energy assets. It’s Energy Trading and Risk Management (ETRM) solutions comprise a set of analytical and trading capabilities, along with physical and financial management systems, that allow market participants to quantify and understand their real-time risk exposure and improve positioning transparency, trader performance and compliance. With EMEA offices in London and Zurich, headquarters in Dallas, and offices in Houston, Calgary, Sydney and Singapore — complemented by a global network of partners – Allegro’s presence in key trading and physical markets allows it to optimise existing energy assets and manage risk for some of the world’s top energy companies. The company was named a “leader” in IDC MarketScape’s 2013 Worldwide Energy Trading and Risk Management Vendor Assessment. Its longevity in the energy space over 29 years means it has evolved through the major technological and market changes of the time, both in Europe and the US, over two decades of consistent revenue growth. Allegro’s customer footprint includes more than 3,000 users within power and gas utilities, refiners, producers, traders, and commodity consumers. That includes the likes of Saudi Aramco, which has to manage risk across a worldwide refining capacity of 4.16 million barrels per day, and a tanker fleet of 19 large carriers. It also includes companies like Germany’s BayernGas, a natural gas sales and trading company that operates a communal gas procurement platform for its municipal shareholders and customers. The company uses Allegro to manage trading, logistics, settlement and accounting on a single platform, and provide its managers with a real-time, holistic view of the business. Ray Hood, Allegro’s Chief Executive Officer, commented “We demonstrated significant growth in 2012, which was a banner year with the addition of 21 new customers, the acquisition of new talent and a solid plan to double our revenue by 2016. There are good reasons for Hood’s confidence. One of the market issues driving Allegro’s current growth is the arrival of global legislation in wholesale energy trading markets. The EU’s EMIR and REMIT regulatory regimes are now rolling out in Europe, following the US Dodd-Frank legislation. As months have unfolded however, deadlines have shifted, and details have changed, leaving companies unsure how to prepare for the impending requirements, restrictions, regulations and penalties due to be imposed for non-compliance. Allegro’s capabilities in identifying and quantifying compliance risk quickly whilst trades are being valued, is proving to be a key differentiator, and it has recently launched two key software offerings, Derivatives Regulation 8.2 and Enhanced FERC Connect 8.2, designed to help companies report trading and business activities to regulatory authorities in the European Union and US. The focus on customers, meanwhile, has meant investment and ongoing enhancement in the company’s Allegro University programme, a portfolio of technical training and education services to help customers acquire, maintain and improve their application skills. Customers can access training services on-demand, via virtual-online classroom or in instructor-led training. Allegro also maintains as an active and engaged user group made up of existing customer users who provide an important flow of information around changing needs and requirements. Allegro’s network of system integrators, data partners and software partners can also benefit from Allegro U to gain superior knowledge of the platform, better prepare for deployments, and help them position Allegro effectively during vendor selection processes. 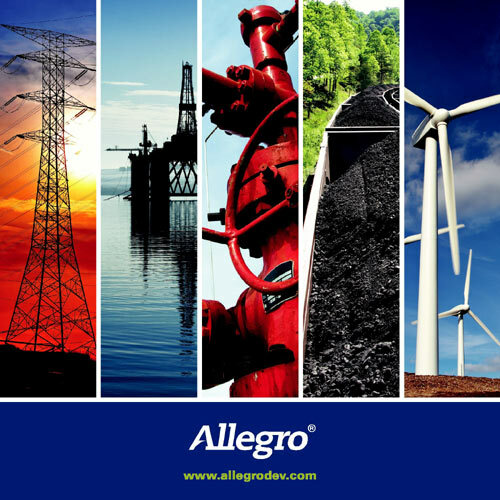 Allegro Development Corporation is a global leader in energy trading & risk management solutions for power and gas utilities, refiners, producers, traders, and commodity consumers. With more than 29 years of deep industry expertise, Allegro’s enterprise platform drives profitability and efficiency across front, middle, and back offices, while managing the complex logistics associated with physical commodities. Allegro provides customers with agile solutions to manage risk across gas, power, coal, crude, petroleum, emissions, and other commodity markets, allowing decision makers to hedge and execute with confidence.